I love chandeliers because once installed, they can change the look of a room immediately. 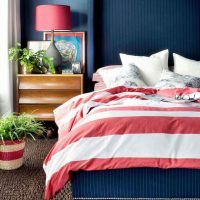 There are so many different styles for chandeliers for sale and I decided to do a roundup of 10 romantic bedroom chandeliers for under $200. Here are some great pieces that will add a dash of romance and intrigue to your bedroom, and they won’t cost a bundle, either! 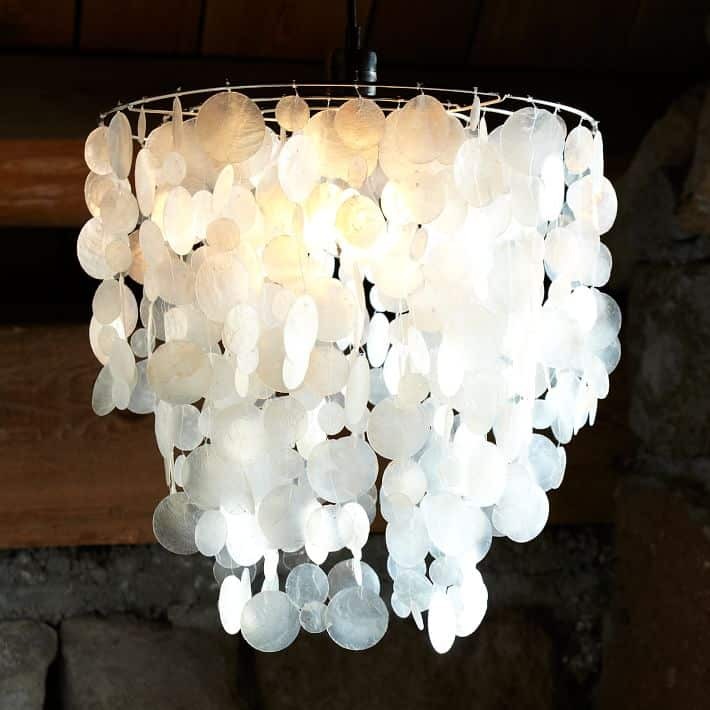 If you have a beach themed bedroom, these chandelier made of natural capiz shells can fit in well. The lighting is diffused by the shells, and creates a soft glow in the room. This flush mount chandelier has crystal accents I love; those are dreamy enough, but the varying sizes and use of chrome are perfect. Four lights give enough light too. Dreamy and elegant! 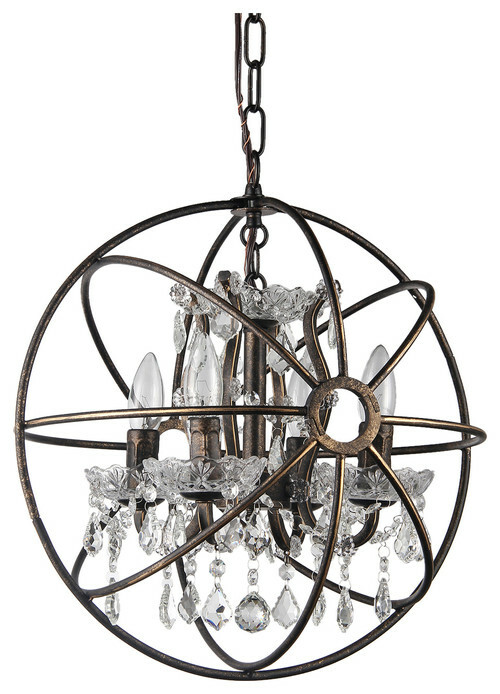 There are many cage-style chandeliers, but this cage chandelier uses crystal and an old world style. The combo of bronze and varying sizes of crystals give it a nice play of light in the room. Can you believe this is from Pottery Barn Kids? Kids get everything! This dreamy chandelier would do well in small bedrooms. 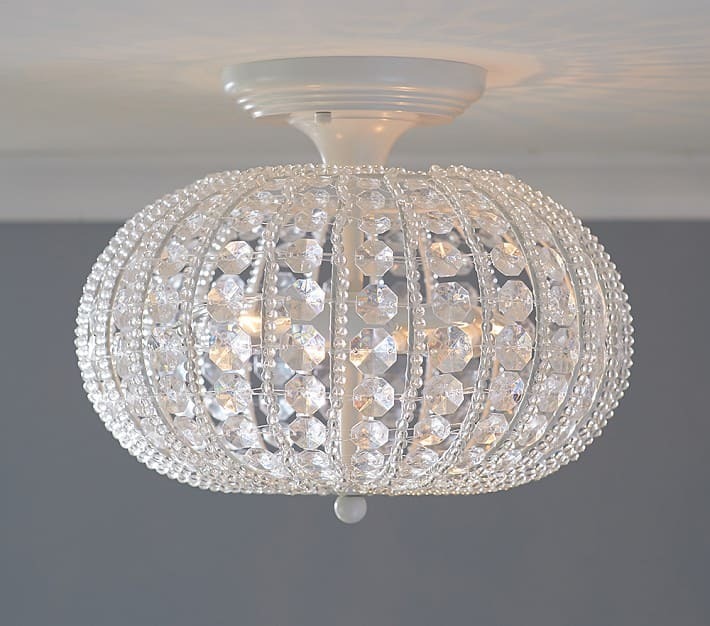 The drum shade of this romantic chandelier keeps the crystals from being too fancy so it can work in nearly any design scheme. Can you imagine this being hung in a room full of warm grays and blues? The LED bulbs of this chandelier keep it burning bright, but I just love the swirling design of it. The price of $79.99 is also a bonus! Moroccan is such a great style that never wanes in popularity, and I’m adoring the way it’s used in this chandelier. It has a nice gold shade that looks antique, and that color attracts attention instantly. 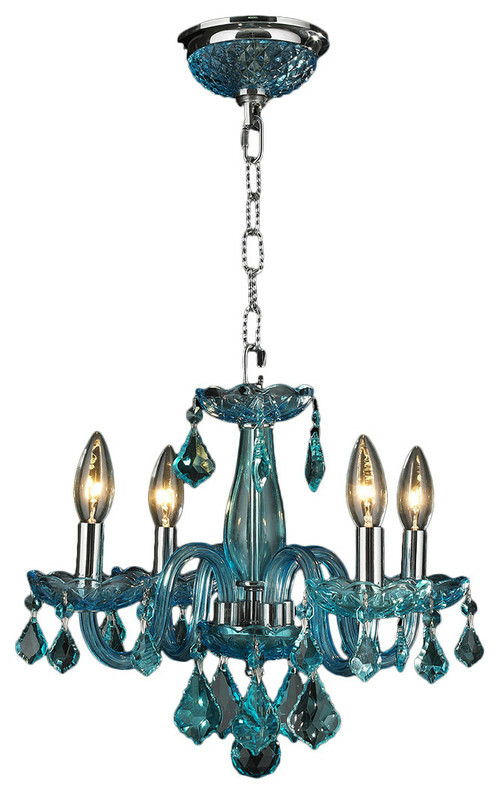 You don’t see many blue chandeliers, but this one is lovely! It features chrome and coral blue colored crystals, but also comes in red, black, and other colors. It’s glamorous and romantic. 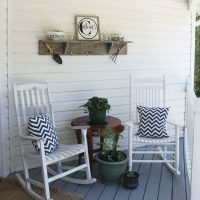 Farmhouse is such a great style for so many homes, and I think a chandelier like this is a must-have. It’s chic, and the globe gives it a touch of romance. The bronze is great as well. 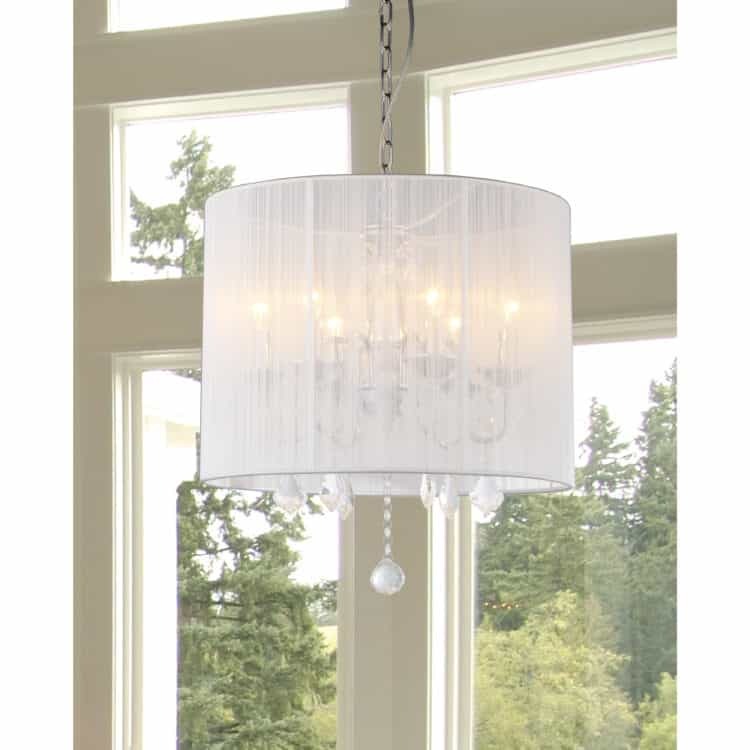 Another drum shade chandelier, I chose this one because I like the opaque feature of it. Six lights give you plenty of light while the subtle design choices are romantic. 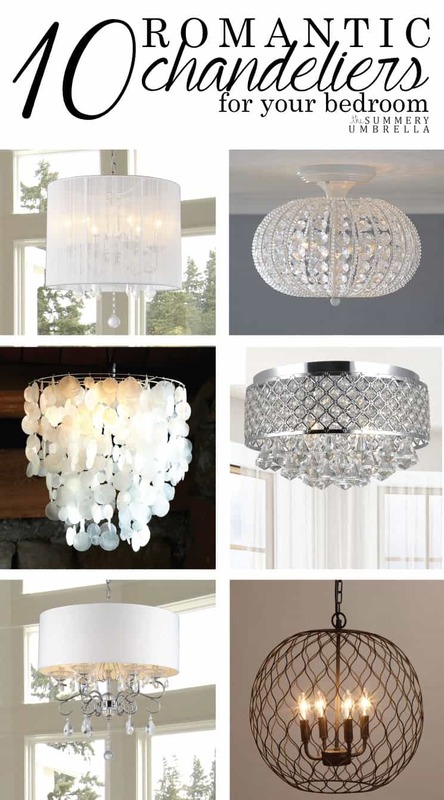 If you want to give your bedroom a whole new look without breaking the bank, a chandelier like these will do it. Hopefully you found your next dream lighting choice!